Located on the 20th floor of 50 Milk Street in the heart of Boston’s financial district, Lighthouse boasts stunning views and is equipped with top of the line audio/visual equipment. Lighthouse West and North have a total capacity of 150 people, and can be divided into two individual spaces. 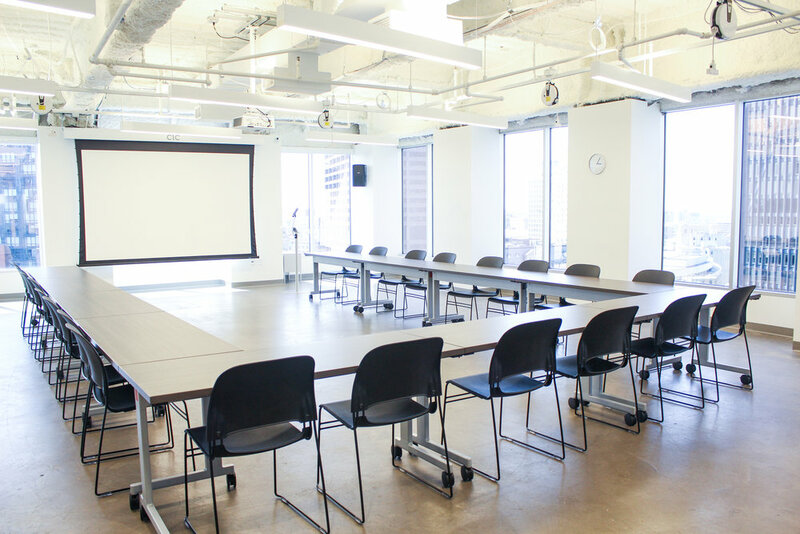 Designed with an open industrial chic aesthetic, this space is ideal for presentations, workshops, or networking. CIC members receive a 50% discount on Lighthouse space fees. Please note that there is a 4 hour reservation minimum. interested in collaborating with CIC? Check out our additional available spaces at CIC Cambridge and CIC Boston, dedicated to boosting Boston's innovation ecosystem through innovative, educational and entrepreneurial programming.